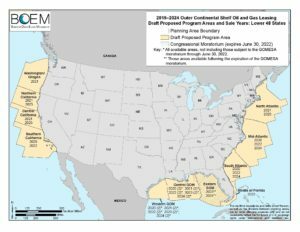 The Trump administration proposes to open 25 of the 26 “offshore planning areas” to oil drilling over the next 5 years. 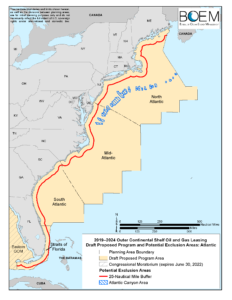 This includes all of Florida’s coastline, including the eastern Gulf of Mexico and the Florida Straits adjacent to the Florida Keys National Marine Preserve. 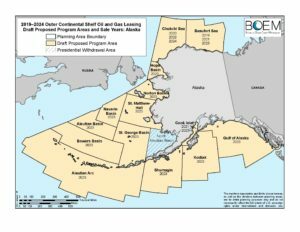 There is a 25-mile proposed buffer zone between the coasts and the “offshore planning areas”, but that will be little consolation in the event of a spill. Deepwater Horizon’s spill covered 68,000 square miles (180,000 km2) of the Gulf of Mexico in oil, polluting 1,100 miles (1,770 km) of shoreline in Louisiana, Mississippi, Alabama, and Florida; killing wildlife (including endangered species) by the hundreds of thousands. Zinke, who previously served on the board of oil pipeline company, QS Energy, and has routinely voted “in opposition to environmentalists on issues including coal extraction and oil and gas drilling“, is clearly ignoring the first part of of the Department of the Interior’s mission statement: Protecting America’s Great Outdoors and Powering Our Future. At last count, all three governors on the U.S. west coast – Washington Gov. Jay Inslee, California Gov. Jerry Brown and Oregon Gov. 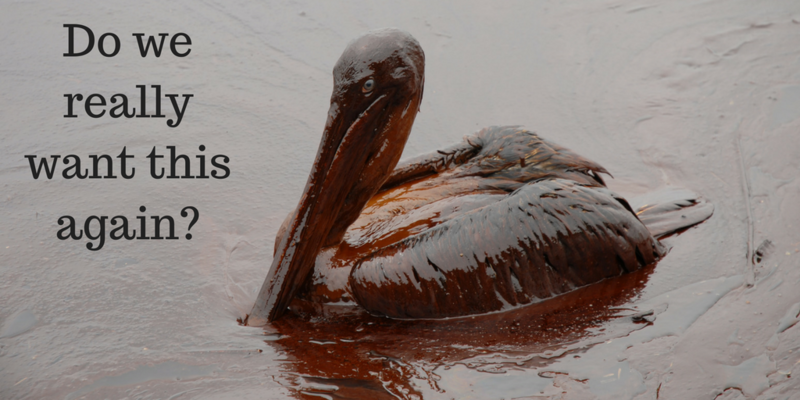 Kate Brown – oppose expanded offshore drilling. 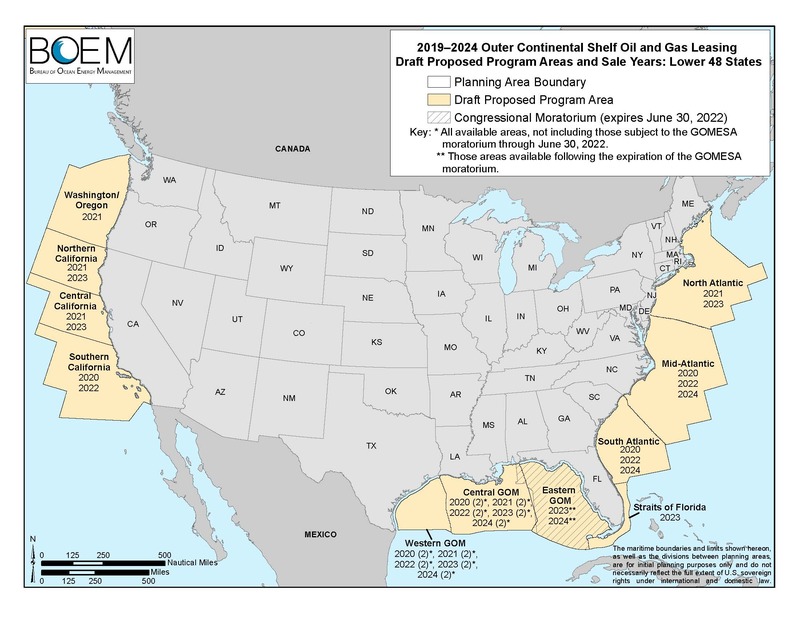 Likewise, the governors of Massachusetts, Rhode Island, Connecticut, New Jersey, Delaware, Maryland, Virginia, North Carolina, South Carolina, and Florida all oppose the proposed 2019-2024 National OCS Program. Georgia governor, Nathan Deal (R), has not yet taken a public position. Maine’s Paul LePage is the only governor who is openly supporting the plan, and he’s… well… LePage. Citing concerns about tourism industry, coastal economy, and protection of natural resources hundreds of municipalities, state attorneys general and other elected officials have voiced their opposition. In Florida, in addition to Governor Rick Scott (R), Senator Bill Nelson (D), Senator Marco Rubio (R), Miami Beach Mayor Philip Levine (D), City of Miami Commissioner Ken Russell (D) are a few quoted as against the proposal in recent days. 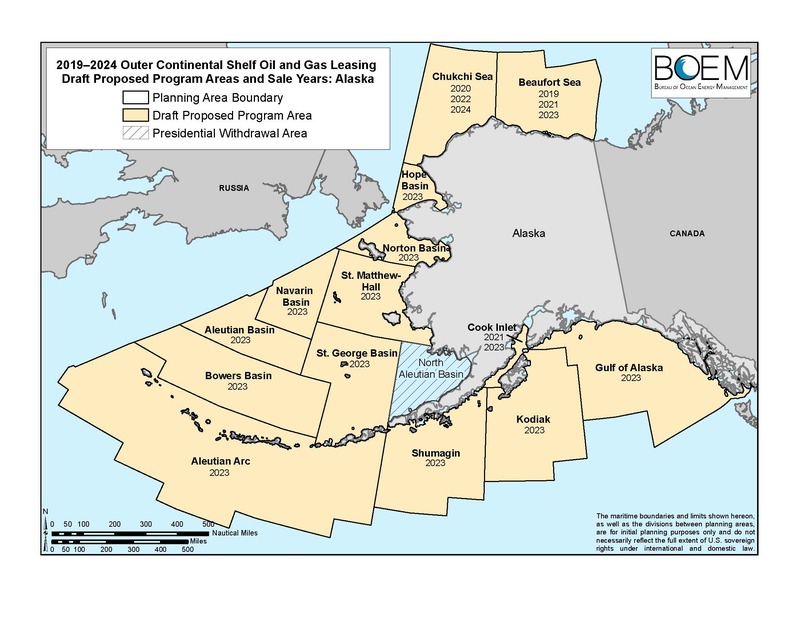 The just released proposal is the first step to creating a new 5-year five-year schedule (2019 to 2024) for selling offshore oil leases to replace President Obama’s plan that was to run from 2017 to 2022. The proposal is now supposed to undergo environmental analysis, and will be open to public comment starting on January 16th. The Trump administration wants to finalize a sale schedule by the end of this year. Public meetings will be held around the country starting on January 16, 2018, to receive comments on the DPP and to inform the Draft Programmatic EIS. Specific dates, times, and venues will be posted on BOEM’s website at https://www.boem.gov/National-Program/. 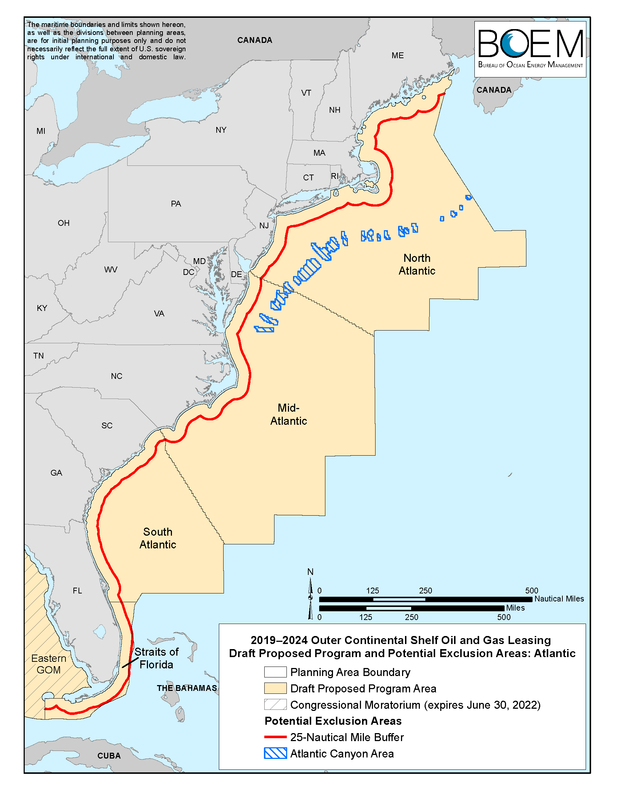 In spite of the loud and immediate bipartisan opposition, given the recent corruption of our public comments system on other matters such as “Net Neutrality” and the clear anti-environment slant of this administration, I must admit to feeling deeply pessimistic about the outcome of this “National Outer Continental Shelf Oil and Gas Leasing Program (National OCS Program) for 2019-2024” proposal.